Now in its 22nd year, the inspirational Aisling Awards remain the biggest and most ambitious awards ceremony in Belfast, rightly dubbed the “Belfast Oscars”. Guest speakers have included Black Civil Rights Leader Rev Jesse Jackson, President of the New York City Council Christine Quinn, President of Ireland, Michael D. Higgins, Minister Martin McGuinness, John Hume and Taoiseach Enda Kenny. 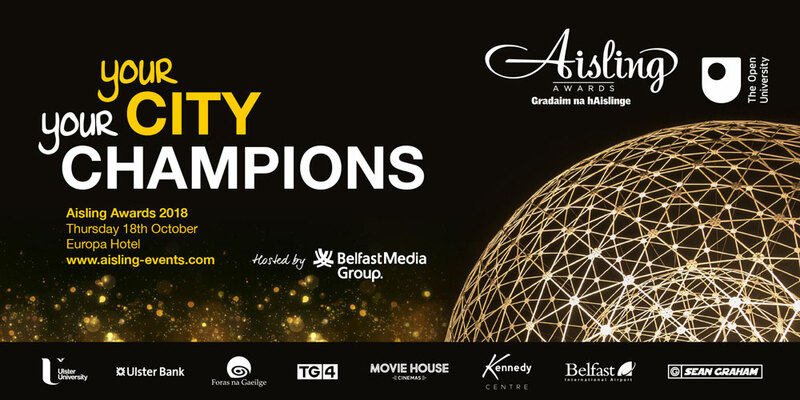 Honouring champions of the changing city in a range of fields, from business to the arts, the Aisling Awards have been proudly supported by Open University, The Kennedy Centre, Ulster Bank, Ulster University, Belfast International Airport and Movie House Cinemas to name a few.